Is there a better alternative to Guidance? Is Guidance really the best app in Religion category? Will Guidance work good on macOS 10.13.4? 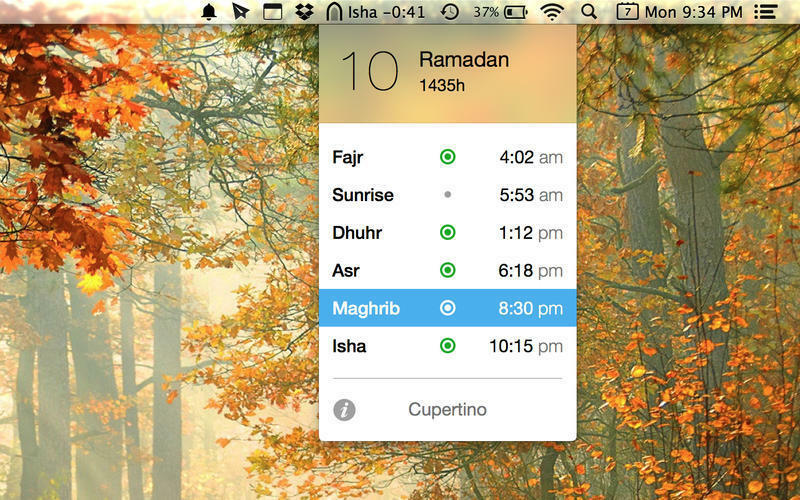 Guidance is a prayer times application for OS X. 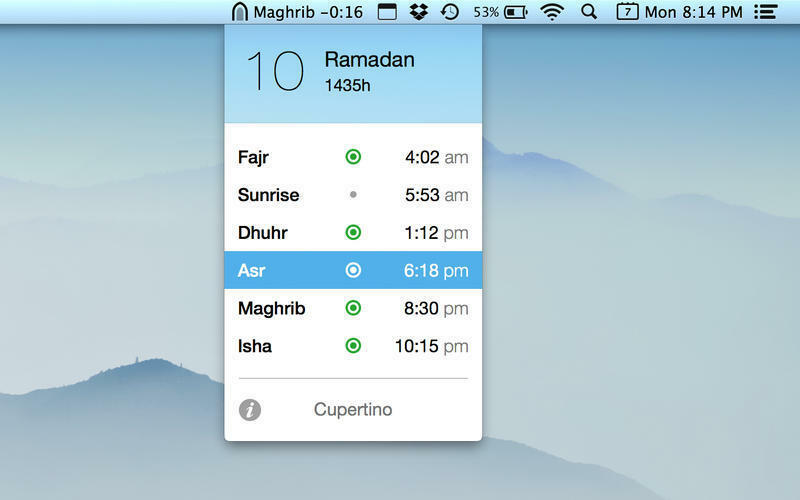 Designed to be simple and elegant, Guidance sits in the menu bar and shows a countdown until the next prayer. When it's time for prayer, Guidance displays a Growl notification and plays the adhan. Guidance stays out of the way while providing you with current prayer time information.